It's not often I use project Life cards for other than what they were intended - Memory Keeping. I am simply not that clever. 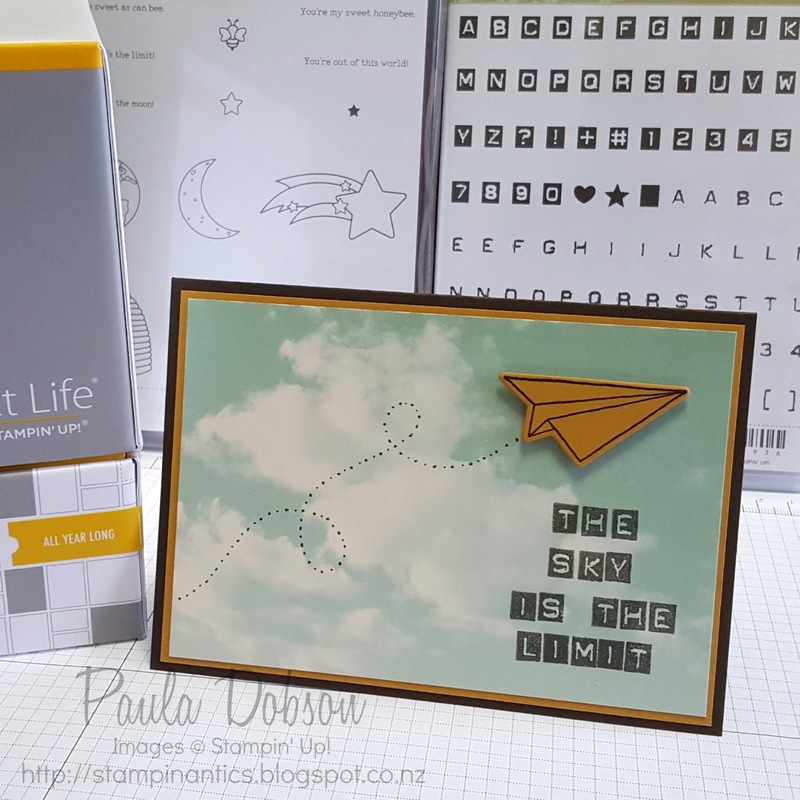 BUT - when I got my hands on the new Stampin' Up! 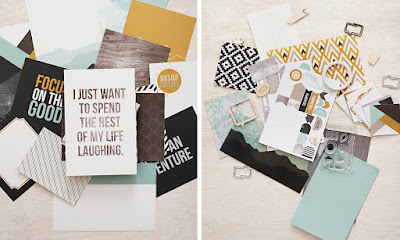 All Year Long Project Life kit, my mind just exploded with ideas! For a start, I adore the colours in this kit - the very earthy tones of Crumb Cake, Delightful Dijon, Early Espresso and Mint Macaron work wonderfully together. It was the artwork on some of the cards that grabbed my attention, and the best thing? You now get two of each card in the new PL kits. Just look at this gorgeous cloudy sky. 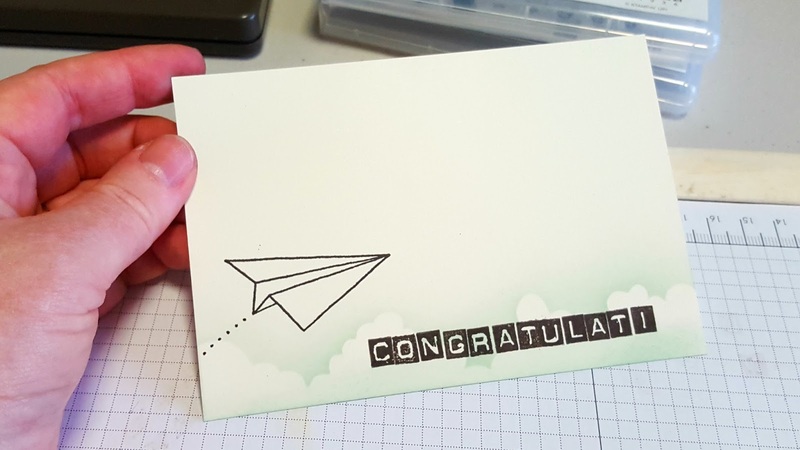 It was begging to have a paper plane added! Thankfully, we have just the thing in the new stamp set, Shooting Star. I was also able to customise the greeting using my new favourite alphabet stamp set, Labeler Alphabet - a must have! And to the inside of my card. I had to create my own cloudy background. 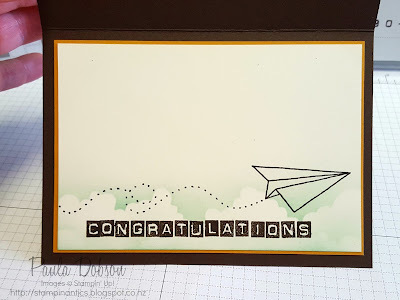 I did this just along the bottom of the card using a template I created from Window Sheet, so I can reuse it time and again, and gently sponging Mint Macaron over the top of the that. I then decided to see how good my spelling is and how spatially aware I am, at the same time. Seems my spelling is fine, until I ran out of room to complete the sentiment on my first go at the card inner - hahahahaha! Spatial awareness - fail! See? I do have bloopers! So, my challenge to you is to have a look at a PL kit you have and see if you can turn a title or filler card into a greeting card! If you don't have any PL kits, just visit my Online Store by clicking on any of the pictures below, and pick one up today!